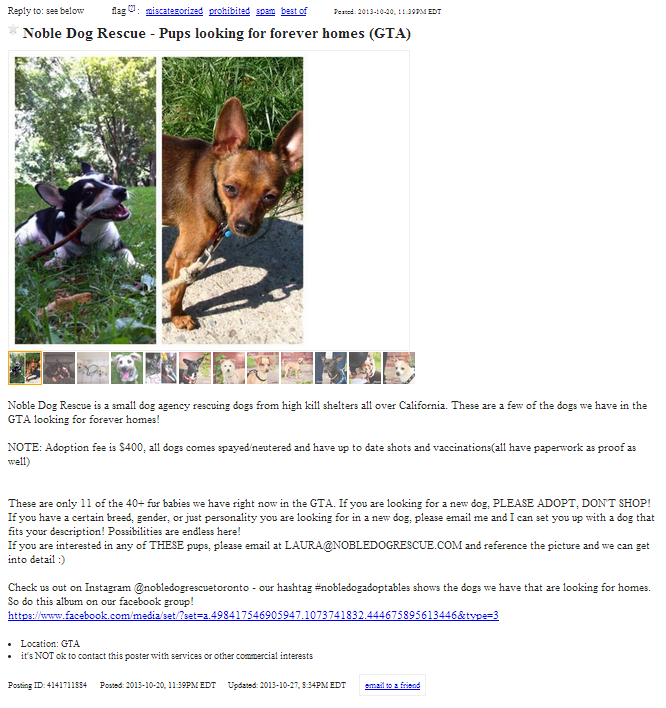 Published 13/11/2013 at 666 × 708 in Noble Dog Rescue, Oshawa: Legit? or Dog Brokerage Operation? You decide!